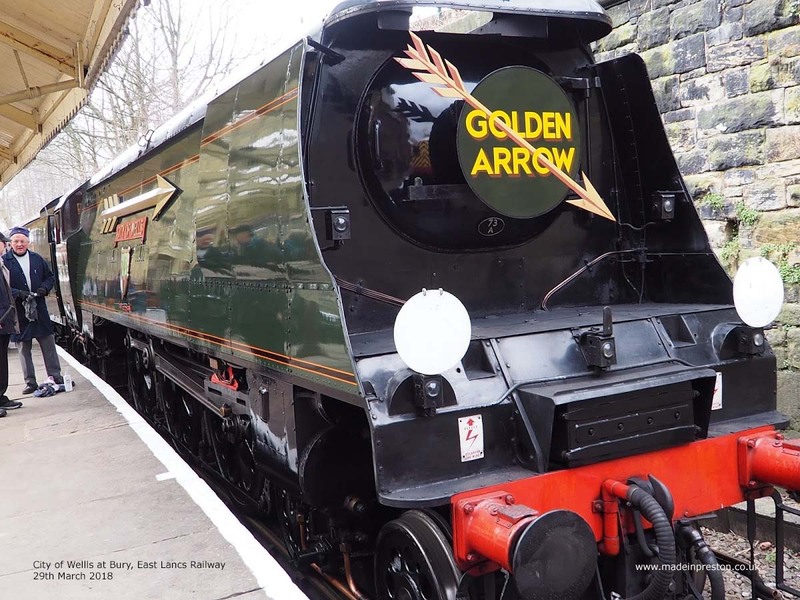 An enjoyable day at the East Lancs Railway on Thursday 29th March. 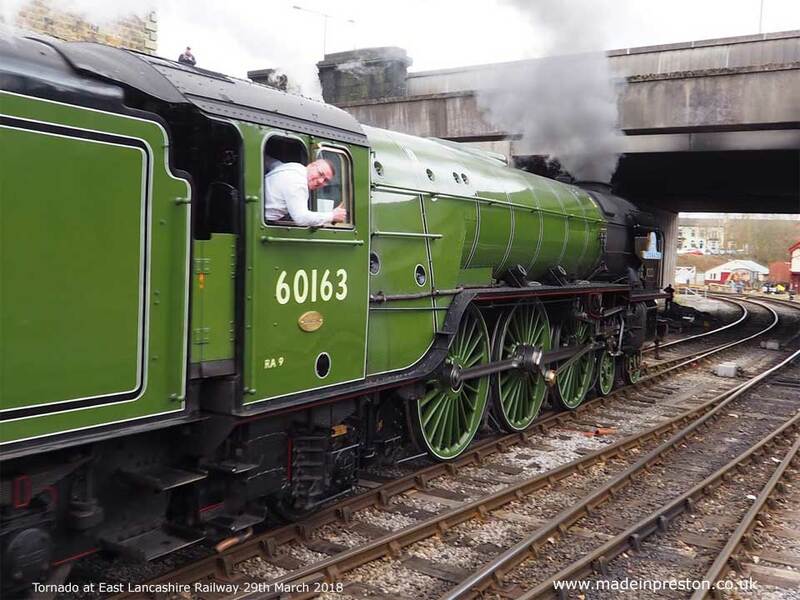 Tornado, the 100mph steam loco, was the star of the show hauling full carriages on many trains. Also on duty was the Crab and diesel. 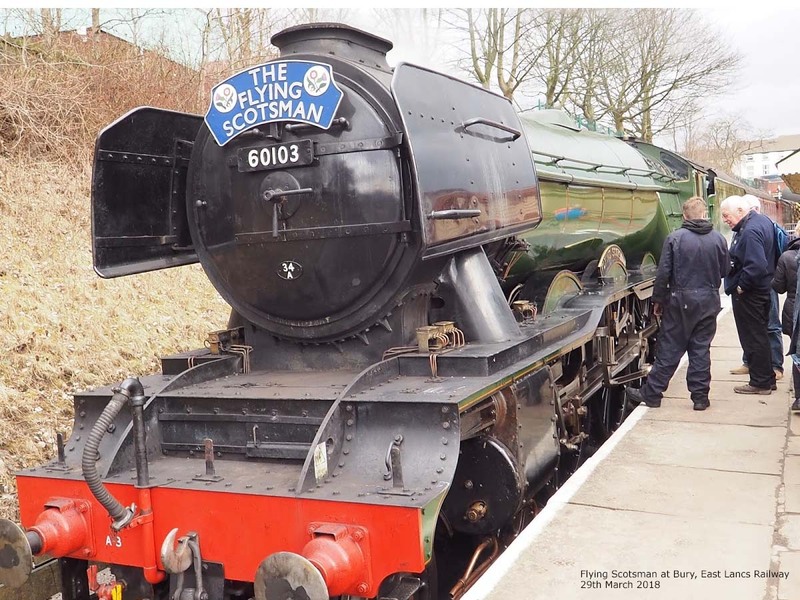 On static display at Bury Bolton Street Station was The Flying Scotsman, steaming and allowing groups onto the footplate, looked popular. Also City of Wells, which the ELR is hoping to buy, was standing at the platform next to a diesel shunter. 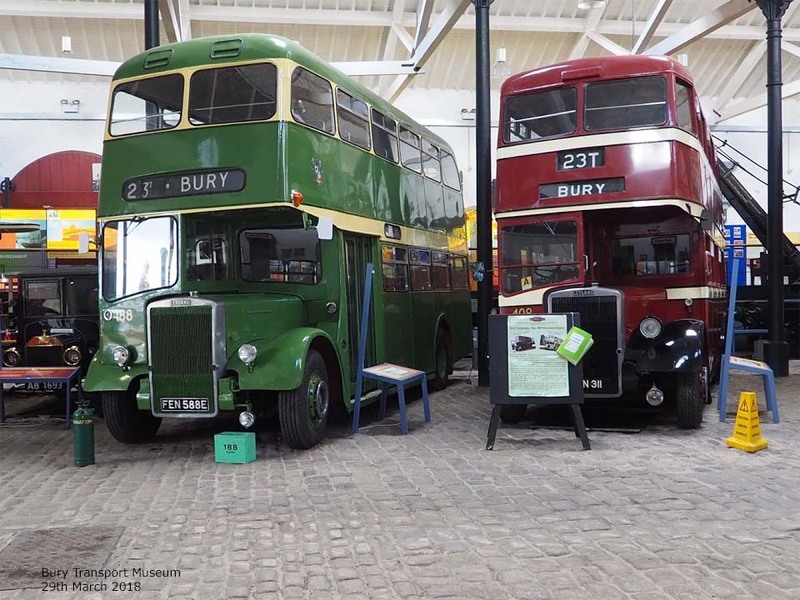 Across the road from the station at Bury is the Bury Transport Museum. 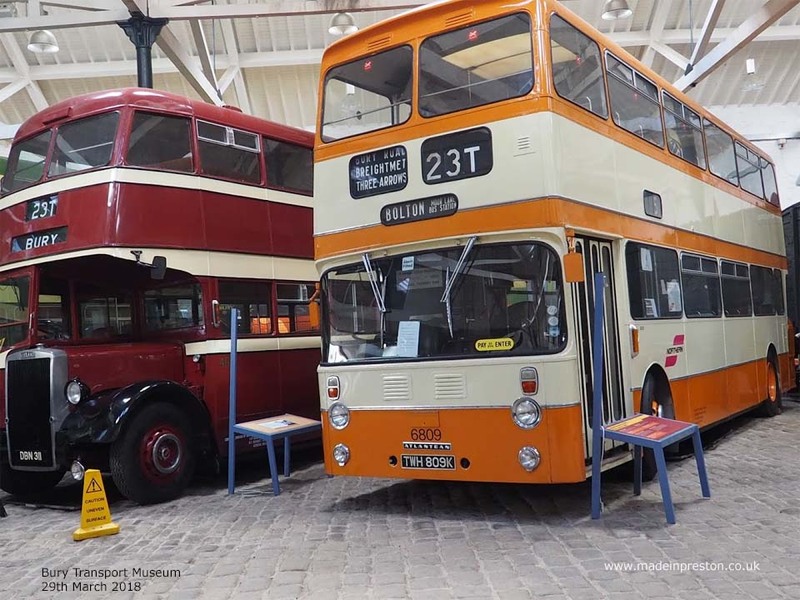 Located in old railway building it contains half a dozen old buses and coaches and railway memorabilia. Free entry and a cafe. 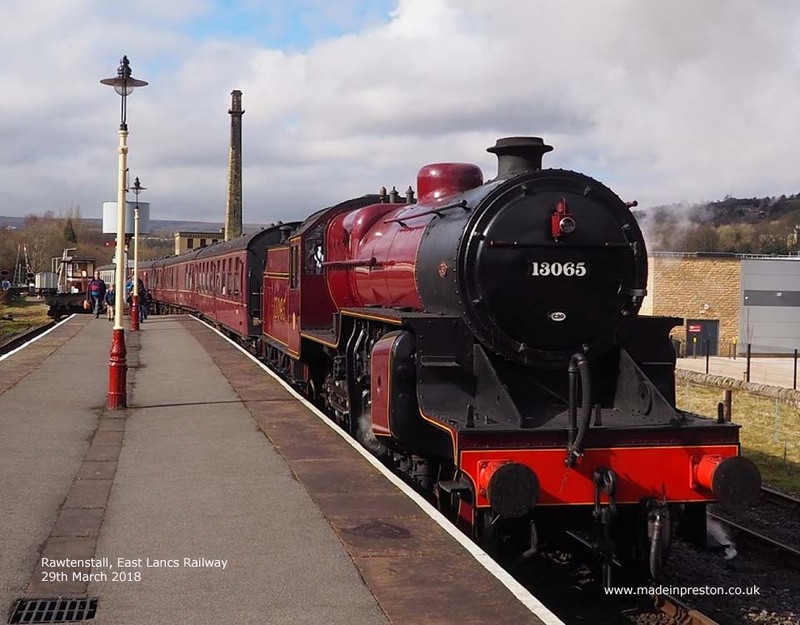 This entry was posted in Railway, Uncategorized. Bookmark the permalink.